Many people wait until summer arrives to begin playing golf. Myrtle Beach offers some of the best golf in the country and the best part is, you can play it year round. The coastal area has moderate temperatures and boasts over 110 championship golf courses in and around the area, which is perfect for any golfer looking to challenge their skills. 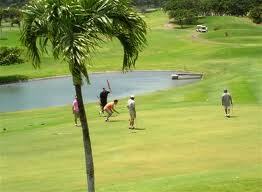 We can set you up with tee times in Myrtle Beach that will let you play any course you want. Our many and varied golf packages let you enjoy golf all year long while enjoying budget friendly savings on tee times in Myrtle Beach. We offer a plethora of packages including multi round discounted tee times and custom golf packages. We have a dedicated and knowledgeable staff that will assist you with choosing your tee times in Myrtle Beach. If you’re new to the area and aren’t familiar with the courses, we will offer suggestions based on your skill level, water and bunker hazards at particular courses, and anything else you may want to know. Be sure to book your tickets for the 2012 Season of Legends In Concert. Some of the best tribute artists in the country are featured on stage at their beautiful Broadway at the Beach theater location. Catch famous acts from Elvis Presley, Neil Diamond, Aretha Franklin, The Blues Brothers and George Strait. Legends In Concert will have shows at 8 p.m. Monday-Saturday beginning February 10, 2012. There will also be 2 p.m. shows on Tuesdays. This entry was posted in Myrtle Beach Tee Times and tagged tee times in Myrtle Beach. Bookmark the permalink.